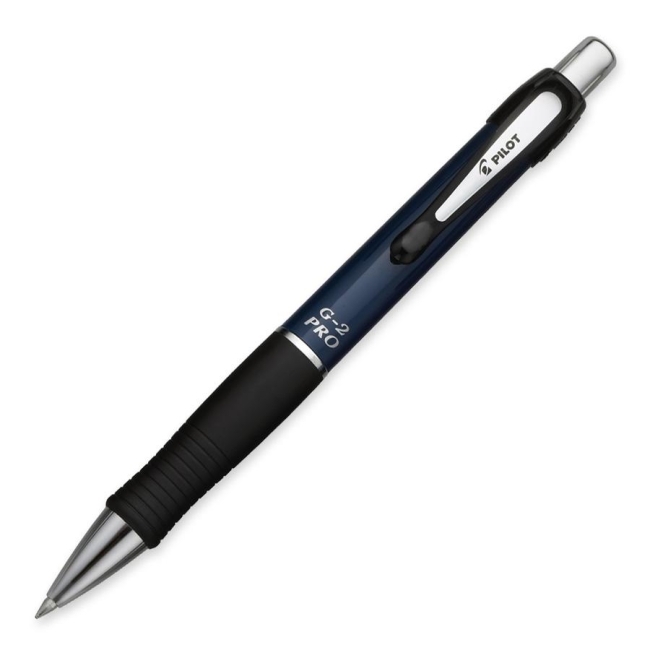 Retractable G2Pro rolling ball pen with gel ink offers a sleek looking, stylish design with metal accents and a contoured rubber grip. Fine point delivers smooth writing, G2 gel ink that is water resistant and smearproof. Refillable.